Holy Apostles College and Seminary (hereafter named as Holy Apostles) acknowledges its commitment to a work environment free from immoral and unlawful discrimination and any type of harassment, including sexual harassment. Clergy, employees, and volunteers must not engage in physical, psychological, written, or verbal harassment of employees, volunteers or parishioners and must not tolerate such harassment by other Church employees or volunteers. Clergy, employees and volunteers must maintain a professional work environment. Harassment can be a single severe incident or a persistent pattern of behavior where the purpose or the effect is to create a hostile, offensive or intimidating work environment. derogatory or pornographic posters, cartoon, or drawings. Explicitly sexual interactions or even sexually suggestive interaction with persons who are served or with whom one works are never appropriate to the Seminary. All members of the seminary community are expected to conduct themselves chastely at all times according to their state of life. Administrators, faculty, staff and volunteers must not for the purpose of sexual gratification or intimacy, exploit the trust placed in them by members of the Seminary community. No member of the clergy, employee, student or volunteer may exploit another person for sexual purposes. All must conduct themselves in a professional manner at all times. Allegations of sexual misconduct are taken seriously and are to be reported to Dr. Cynthia Toolin-Wilson, Title IX Coordinator, at ctoolin@holyapostles.edu, or 860-632-3022 and to the Diocese of Norwich Office of Internal Affairs at 1-800-624-7407 or 1-860-889-4455. If a minor is involved, the norms of the Sexual Misconduct Policy and the Code of Pastoral Conduct policies of the Diocese of Norwich are to be followed without exception in every situation of this kind in order to protect the rights of all involved. Clergy, employees, students and volunteers should review and know the contents of the child abuse regulations and reporting requirements for the State of Connecticut and should follow those mandates. If the allegation of sexual misconduct or harassment does not involve minors, the allegation is also to be taken seriously, and it is morally imperative that such allegations should be reported to the competent authority of Holy Apostles College and Seminary and the Diocese of Norwich immediately. 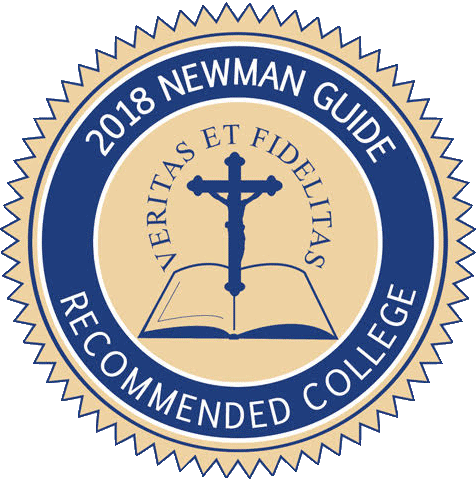 Clergy, employees, students and volunteers of the Seminary are to follow the Diocese of Norwich and Seminary procedures to protect the rights of all involved. All Seminary personnel (i.e., administrators, employees, students, or volunteers) are mandated reporters of sexual misconduct or harassment if he or she witnesses the incident or is a told of the incident by the victim. To report an allegation of criminal or illegal sexual misconduct toward an adult at Holy Apostles College and Seminary, call the Cromwell Police Department at 1-860-635-2256, call Dr. Cynthia Toolin-Wilson, Title IX Coordinator, at ctoolin@holyapostles.edu, or 860-632-3022 and the Diocese of Norwich Office of Internal Affairs at 1-800-624-7407 or 1-860-889-4455. To report an allegation of sexual misconduct toward a minor under the age of 18 at Holy Apostles College and Seminary, call the DCF Hotline at 1-800-842-2288, call Dr. Cynthia Toolin-Wilson, Title IX Coordinator, at ctoolin@holyapostles.edu, or 860-632-3022 and the Diocese of Norwich Office of Internal Affairs at 1-800-624-7407 or 1-860-889-4455. To report an allegation of sexual misconduct that is not illegal, call aDr. Cynthia Toolin-Wilson, Title IX Coordinator, at ctoolin@holyapostles.edu, or 860-632-3022 and the Diocese of Norwich Office of Internal Affairs at 1-800-624-7407 or 1-860-889-4455. The reporter should also put the complaint in writing outlining the alleged offense, including as much detail as possible and naming those who might corroborate the incident. The person making the complaint does not have to confront the alleged offender but will understand that his/her name and the nature of the complaint will be revealed to the alleged offender in the course of due process. At any time in the process, the complainant or the alleged offender has the right to appeal to the civil authorities.